Here’s the very latest and greatest from akirby80: 5 Minecraft Seeds, all for the Update Aquatic, both Java and PE/Bedrock editions. 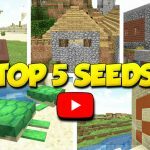 There’s a nice variety of seeds here with great spawn setups and quick exploration. Check it out, and click through to check out and follow akirby80, too! 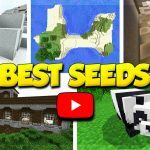 Give the video a watch, and subscribe to akirby80 on YouTube to get more Minecraft videos with top seed lists, in-depth seed walkthroughs, capes, skins and more! 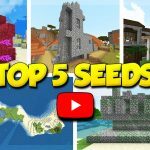 Top 5 Best Minecraft Seeds YOU SHOULD TRY!